Since last two decades, the real estate market has seen many ups and downs. Because a huge amount of cash is involved in real estate more and more people are taking an interest in this field. Being a growing sector competition is always there in the real estate sector. Above all most of the clients are educated now, and it is tough to convince clients with the trend and change in real estate business. You need fact and figures to acknowledge your customers and to achieve your goals. Real Estate Infographics can help you a lot to fulfill your perspective and satisfy your clients. It gives you stuff that keeps your client engage interestingly with you. Let’s understand that what is Real Estate Infographics? Real Estate Infographics is handy and colorful visuals that help to acknowledge your customers with real-time facts and figures showing data in an attractive form that makes your customer feel educated and understand the latest real estate trend with ease. You can also make your Real Estate Infographics by your self. How can you make Real Estate Infographics by yourself? Make Real Estate Infographics is not a difficult task; you can make it yourself. Follow the below-mentioned steps. At first, finalize your goal behind the making of Real estate Infographics. Make your infographics that seems attractive and knowledgeable to define the process, to motivate your clients and to compare the prices. Choose an infographic template that fits with the type and size of data and information you want to visualize. Add charts, pictograms, and icons that enhance the clarity and vision of your data. Choose eye-catching colors, fonts, and visuals to make your Real estate Infographics look attractive. Things to be considered while making of Real Estate Infographics? Do not repeat the information so that your client will not lose their interest. Use information which is relevant to the particular segment. Divide your information in a bite-sized section which enhances the look and credibility of your infographics. Use icons and flowcharts in visuals that help your client understand what you want to show them. Try to put a maximum of two sentences in each section that looks better in reading. 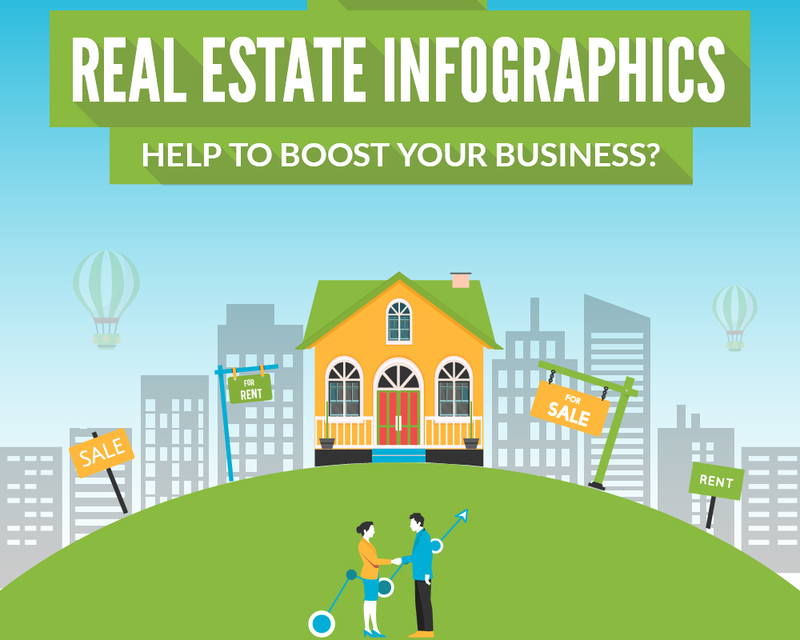 Highlight the key features of particular property with informational infographics. The study shows that Real Estate Infographics helps to enhance the sales for many real estate companies. These are the latest method to visualize the trend and key features of the particular property and helps to accelerate your real estate business. ← Top 5 Trends In Infographic Design Company To Watch.